National Speech & Debate Association | Connect. Support. Inspire. Log in with the link in the upper right to access more resources, enter points, and manage your account! Interested in what our students are currently talking and debating about? See our list of current topics. Find essential forms, rules, and manuals like the High School Unified Manual, the Middle School Unified Manual, and our Competition Events Guides. Browse and search our extensive list of speech and debate resources. Upgrade to the Resource Package for access to even more! The National Speech & Debate Association was created in 1925 to provide recognition and support for students participating in speech and debate activities. While our organization has evolved over the decades, our mission is more relevant today than ever before. We connect, support, and inspire a diverse community committed to empowering students through competitive speech and debate. 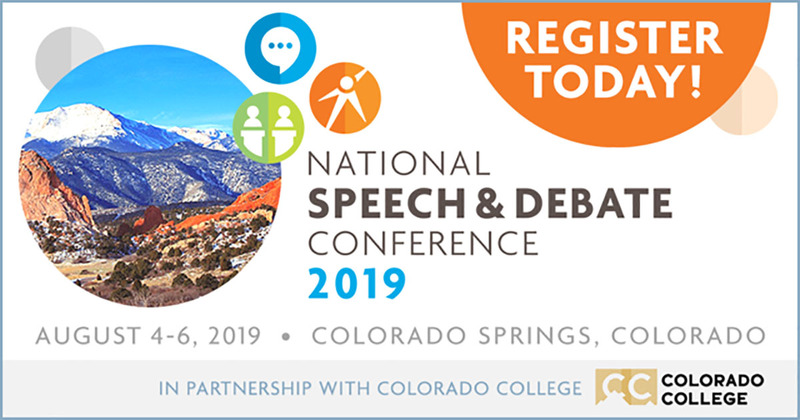 The National Speech & Debate Association is the world’s largest honor society devoted to speech and debate activities, and bestows numerous awards and recognition to students, coaches, and schools. We also host the largest academic competition in the world, the National Speech & Debate Tournament. In addition, we provide numerous benefits to our members, such as resources, programs, publications, and scholarships.